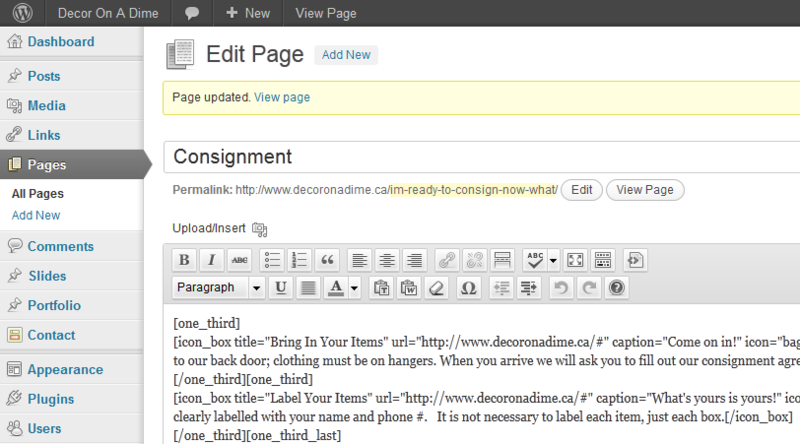 [dropcap style=’square’ colored=’true’]N[/dropcap]eed a website for your consignment store? Yes you do! The Computer Peeps specialize in developing consignment websites. We can also build websites for medical offices, law offices, or any small business. The Computer Peeps can build a beautiful, functional, affordable website for your business. Maybe you already have a website, but it hasn’t been updated since 2009. Maybe you’re just starting out with the whole website *thing* and don’t have a domain name picked-out yet. If you can’t say, “Yes, I can update my website whenever I want!” then something’s wrong. If you don’t know who truly owns your website, then somethings really wrong! The Computer Peeps specialize in building WordPress websites for consignment and resale store owners, as well as any business that needs a website. Take a look at a few of the websites we’ve built for clients. Update your website on your terms! The engine driving all Peeps’ websites is WordPress. WordPress allows you to easily modify your website, without relying on a geek. Web Hosting registered in your name. We’ve had multiple clients burned by web developers, deleting websites, halting all emails, etc.. All hosting and domains are registered in your name. With WordPress, you can easily change the look and feel of your website. Think of WordPress templates like purchasing professionally designed blue prints for a new home. Instead of paying through the roof for a custom home, you can select from professionally designed layouts with unique customizations and features. 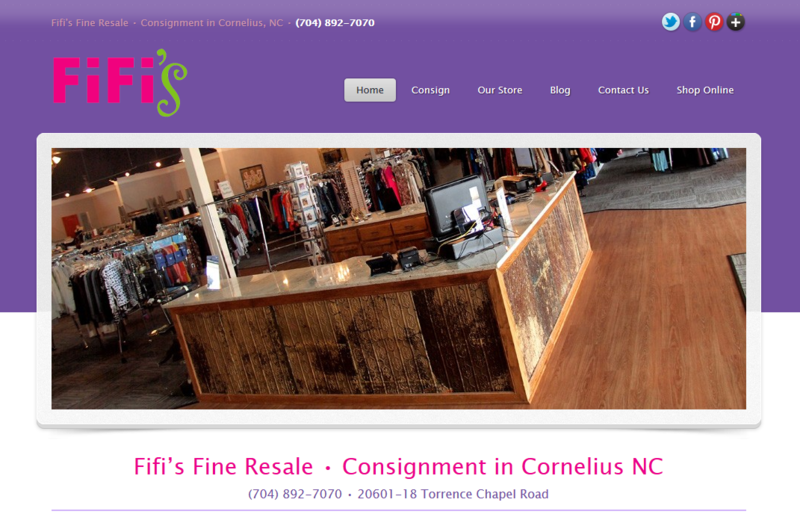 We utilize professional templates and frameworks to achieve a gorgeous, consignment website! Change the look of your site, without losing your entire website! You can easily install new templates and ‘reboot’ your website every couple of years. Update your website from wherever you are! Post new blog entries from your phone! e.g. Upload pics of new items from your mobile phone. All websites come with a professionally configured Google Apps trial setup. If you’ve used Gmail before, then you know how easy it is to get to your email. Easily add/remove email addresses – e.g. for new employees, store managers, etc. Create forwarder or ‘Nickname’ accounts – e.g. [email protected], [email protected], [email protected], etc – and have all emails automatically forwarded to another email inbox. Access to email from any device with a web browser – no more worrying about setting up Outlook! All the benefits of Google – e.g. Google Docs, Google Calendar, Google Contacts, Google Tasks, etc. WordPress, the world’s largest and best content management system platform, drives all websites developed by The Computer Peeps. We strongly recommend HostDime for web hosting. All hosts are not created the same. The core components of your website – e.g. Apache, MySQL, and PHP – must be properly installed, configured, and secured. Ask us why we recommend HostDime. CPanel ensures you have complete control over your entire website, from FTP to DNS. Google Apps ensures your emails are sent and received, without going to spam. Other online email systems can interfere with email messages, altering or even completely removing messages intended for your eyes. Instead of trying to use some convoluted webmail system configured by your web developer, switch to Google Apps and get Gmail for your business. Mobile WordPress apps are available for both Android and iOS – update your site from your phone! Our standard website package includes a 5 page website, plus a Contact Us page. Social sharing – e.g. Facebook, Twitter, etc. Link to your MyResaleweb, My Consignor Login, ShopRW, or other consignment website. [dropcap style=’square’ colored=’true’]W[/dropcap]ebsites require both domain name registration (about $10-$15 per year), as well as web hosting (about $200 per year). If you do not already have a domain name, we will help you register your domain name. We recommend Name Cheap for domain name registration. You’ll need a domain name – e.g. myconsignmentstore.com – to go along with your website. If you already have a domain name and even web hosting, please keep in mind all web hosts are not created the same. The Computer Peeps recommend HostDime. We have had many, many clients attempt to run their website and email through ‘all-in-one’ services, only to see their websites fail. WordPress utilizes software such as Apache, MySQL and PHP. Your template includes colors (style sheets) and images, as well as content (the text throughout your site), all of which requires resources in order to load. Cheap web hosts show their true colors when it comes to site availability and stability. The Computer Peeps will check to see if your current web host is sufficient to run your new website. Another benefit of HostDime is, there’s always someone there. This isn’t some phantom online company that you can never talk to. Contact us today to get started! We can add unique features and options such as customer surveys, Pinterest links, appointment schedulers, comprehensive SEP treatment, and more!